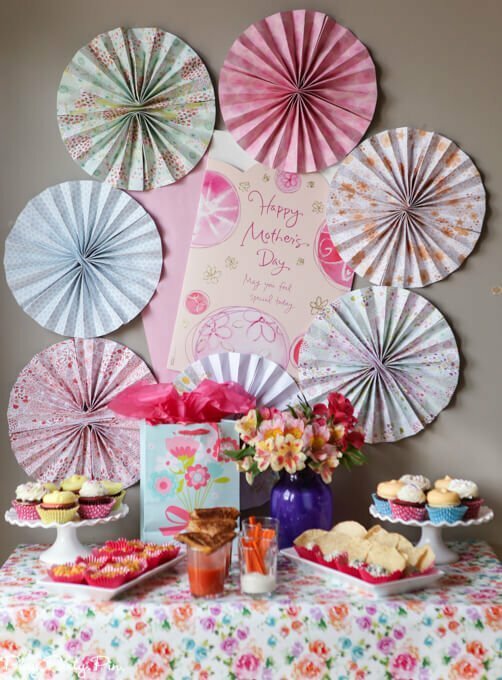 Celebrate Mother’s Day this year by hosting a party for all of the amazing moms around you who have helped you be a better mom. 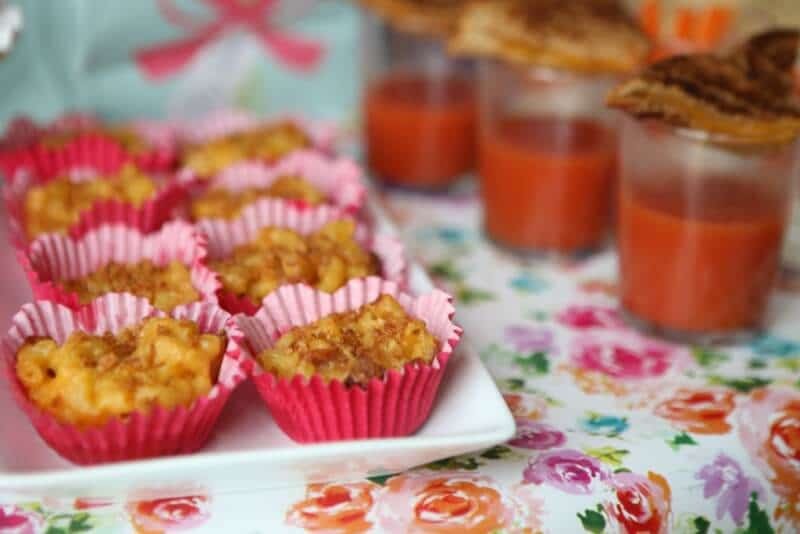 These Mother’s Day party ideas are perfect for doing just that. 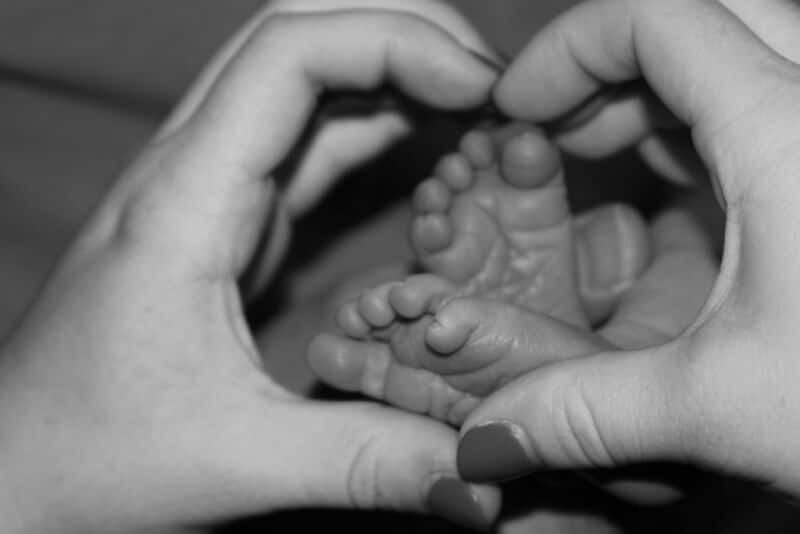 When I first got pregnant, everyone told me that being a mom would be a change and that it would be hard. 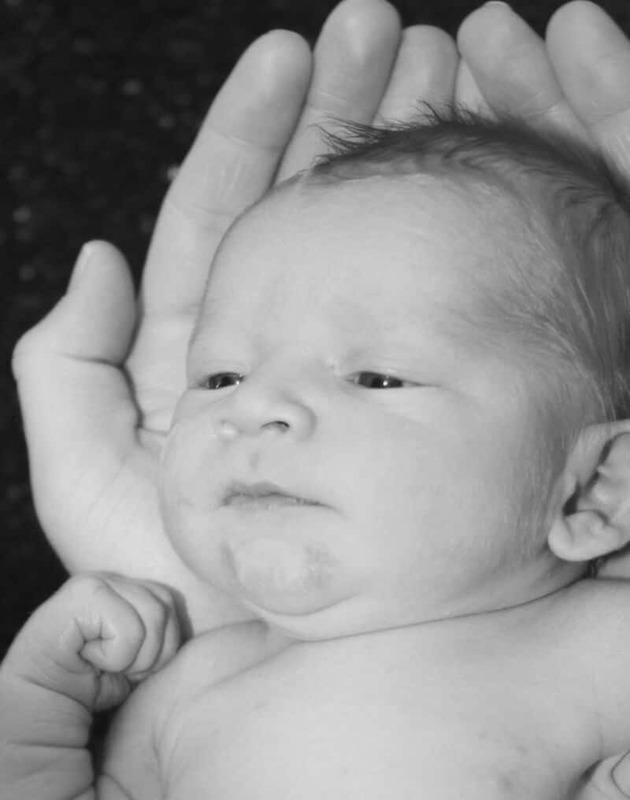 It’s been just over two years since I had my son and I can tell you right now that motherhood is hard. It’s so worth it, but it’s hard, easily the hardest thing I’ve ever done. Last December I had a life-changing moment that included yelling, crying, and hiding under my covers for longer than ever before. The word depression crossed my mind numerous times during the experience but that couldn’t be me; people with depression were sad and well, depressed. I “knew” about five total things about depression and none of them applied to me. No way could that be what I was going through. 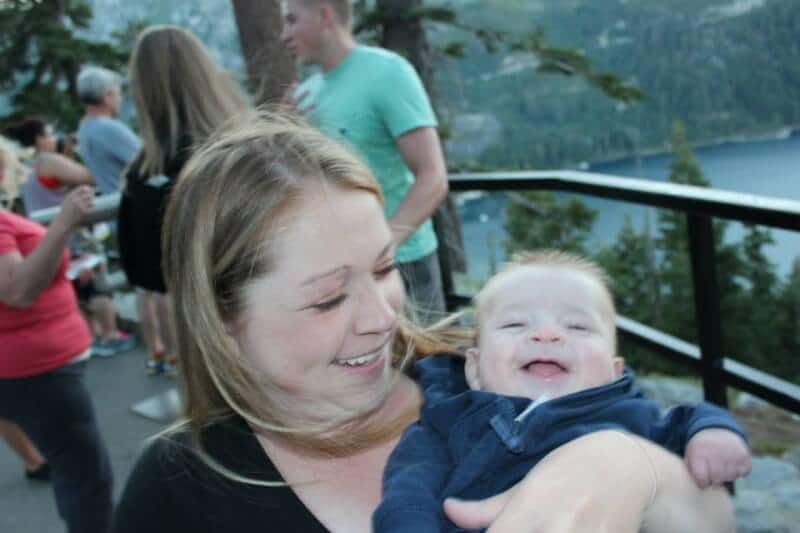 What I didn’t know was that a lot of moms suffer from post-partum depression and don’t ever feel sad or unhappy, the two words that I associated with depression. It took me almost four months to go talk to a therapist for the first time and within minutes of talking to her about my life, she was able to confirm that I was in fact depressed. But the words during our discussion weren’t depressed, sad, or unhappy. The words were unmotivated, tired, and disconnected. And the conversation was about how I just didn’t feel like getting dressed, I didn’t have an appetite, and I was literally exhausted all the time even though my son slept for 12-15 hours a day. Everything else changes when you have a kid (hello crazy bladder and body shape), so I just assumed those were normal side effects. Apparently not. For me, there have been two things that have really helped me get through this challenging time. The first is medication and the second is a small group of mom friends who have been there for me through thick and thin the past two years. When I needed someone to come pose for pictures for a blog post, they were there. When I needed someone to watch my son while I went to an appointment, they were there. And when I didn’t want to leave the house all week, one of them would invite me to the park and convince me that I needed to get out of the house because they really wanted to see me. Not once have they judged me for coming to playgroup in my sweatpants or for just throwing my hair up in a top bun for the fifth day in a row. They may not know it, but they are the reason I’ve been able to get through the past two years. And I am so grateful to them for being the light in a dark time for me. When I think of Mother’s Day, the first thing that comes to mind is obviously my own amazing mom. The second thing, however, is the amazing group of moms I have around me. They’ve shown me that women don’t have to be judgmental or “mean girls,” but rather can be kind and supportive. So this Mother’s Day, instead of judging the mom whose toddler is screaming to get out of the shopping cart or avoiding the mom with the baby on the airplane, I say we celebrate and support all moms by helping each other out instead, like my friends have supported me. Because you never know what that mom is going through and what kind of impact a kind word or someone to hold her baby for a minute will have. Everything is just better when we’re in it together and truly supporting one another. And the “everything is better together” idea was the theme of the party I threw this week to thank those amazing mom friends of mine. 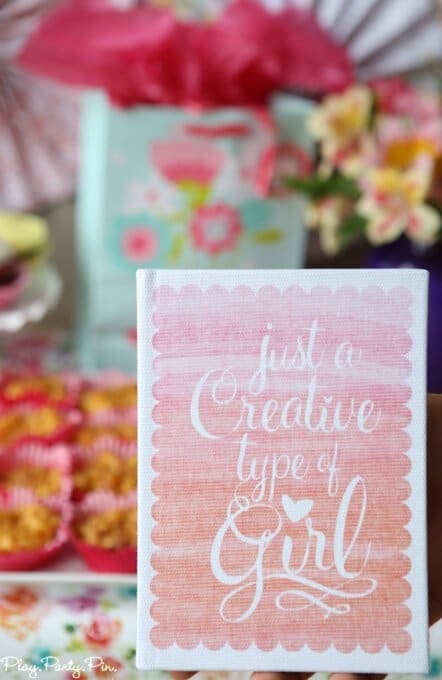 I’ve been completely obsessed with watercolor painting since I took a class at SNAP last week, so naturally when I saw this awesome American Greetings card in the Best Mother’s Day Ever display at Walmart, I was drawn to it. 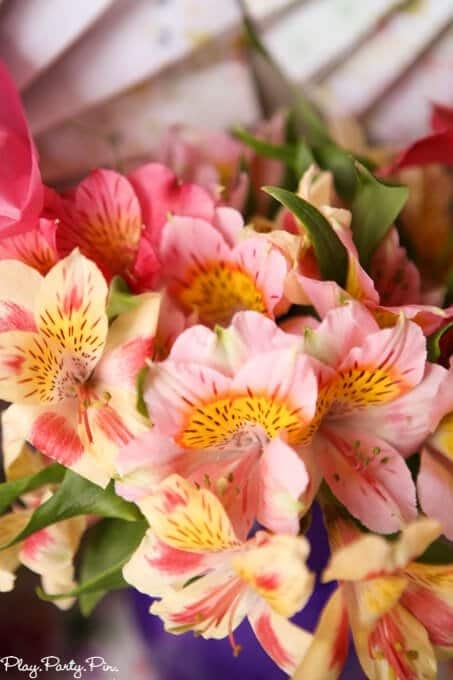 Watercolor flowers and a message about everyone needing someone amazing in their lives? It’s like the card was made for me and my party. I decided to run with the watercolor theme and used it throughout the party decorations and even the party favors. One of the first things I do when planning out a party table is figure out my backdrop. 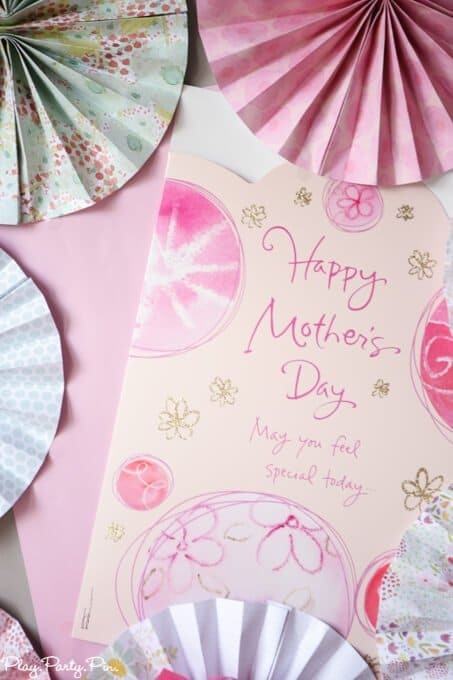 I saw this jumbo Mother’s Day card at Walmart and immediately knew that I wanted the card and envelope to be the focal point of my backdrop. I surrounded the backdrop with paper flowers made with watercolor scrapbook paper in colors that matched my scheme. 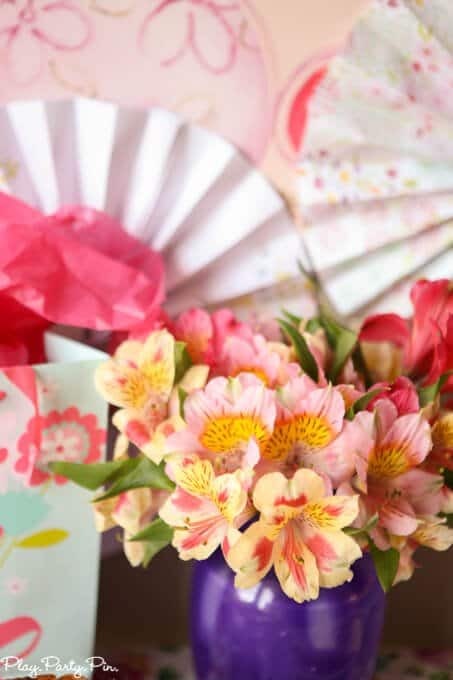 I continued the watercolor theme by covering my party table with a gorgeous floral wrapping paper. 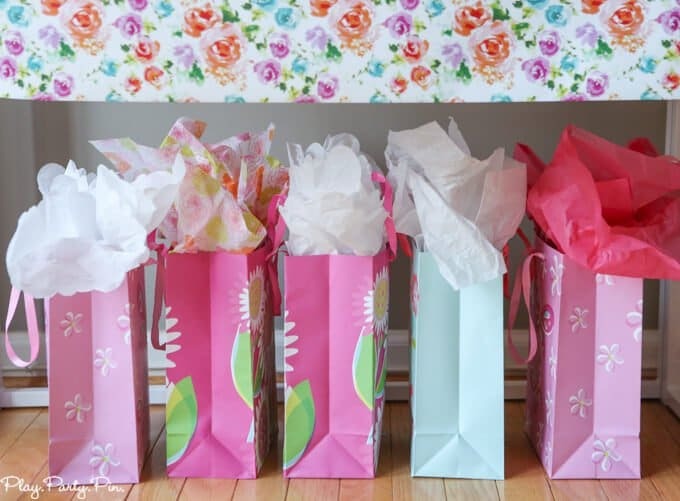 Wrapping paper is one of my favorite ways to add a pop of color and pattern to a party table if you don’t want to use (and ruin) fabric. 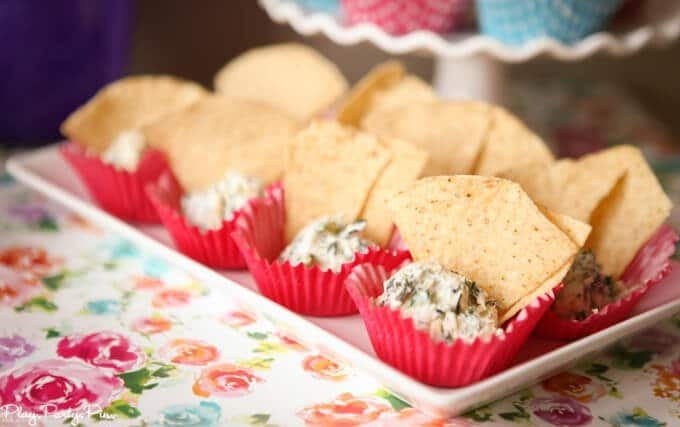 It’s perfect when you have something super messy like my mac and cheese cups or spinach and artichoke dip. I just taped it to the table and then at the end of the night ripped it off and threw it away. So easy! On top of the table I just added a vase of fresh flowers that I tinted purple and one of the American Greetings gift bags that matched my color scheme. I decided to plan a menu full of foods that pair well together to stick with my “everything is better together” theme. 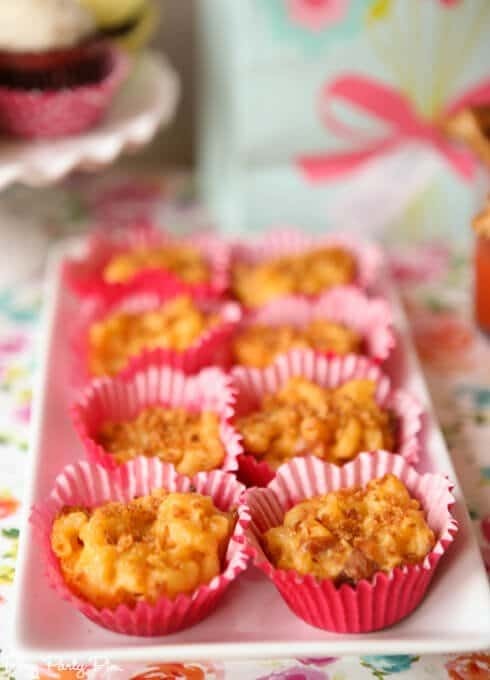 I made mac and cheese cups (recipe coming soon) because everyone knows that macaroni and cheese just belong together, and I served the mac and cheese cups in pink flower baking cups to tie in with the watercolor flowers. 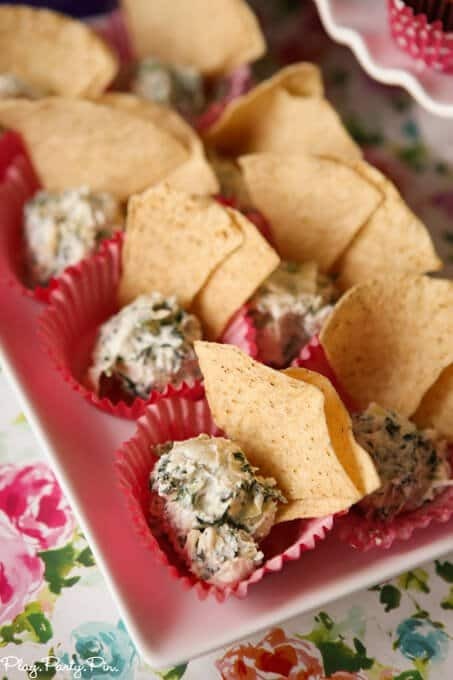 On the opposite side of the table, I put my favorite spinach and artichoke dip in the same pink floral cups along with a couple of chips to make my “chips and dip” cups. 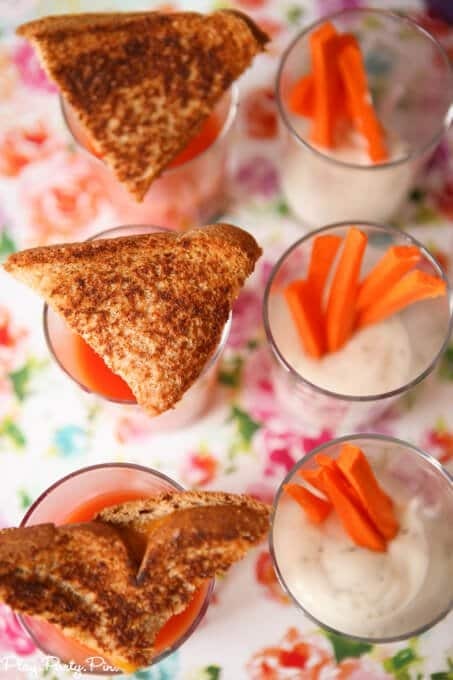 In the middle of the table, I served grilled cheese with tomato soup shooters on one side and ranch dressing with carrot sticks on the other. 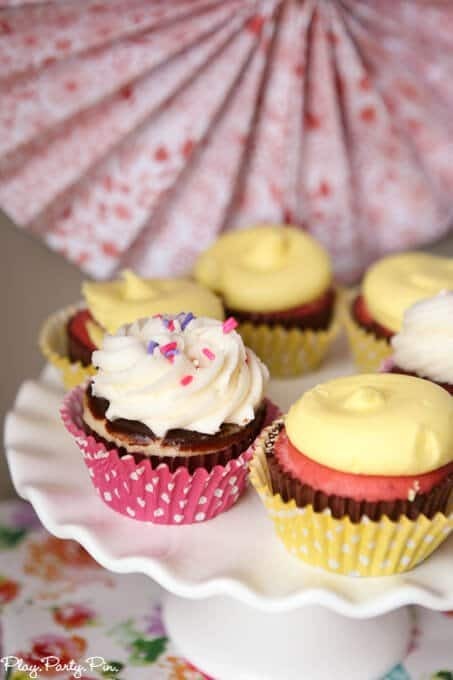 And finally, I finished it off with a bit of dessert with strawberry lemonade cupcakes and red velvet cupcakes with cream cheese frosting, two of my absolute favorite flavor combinations. 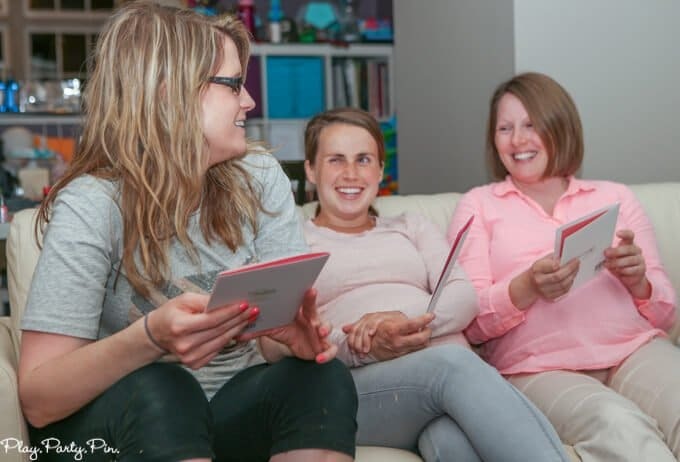 Since the theme of the party was about moms being together, the majority of the time was spent just hanging out and chatting, but I love party games, so I had to plan a couple of simple activities. 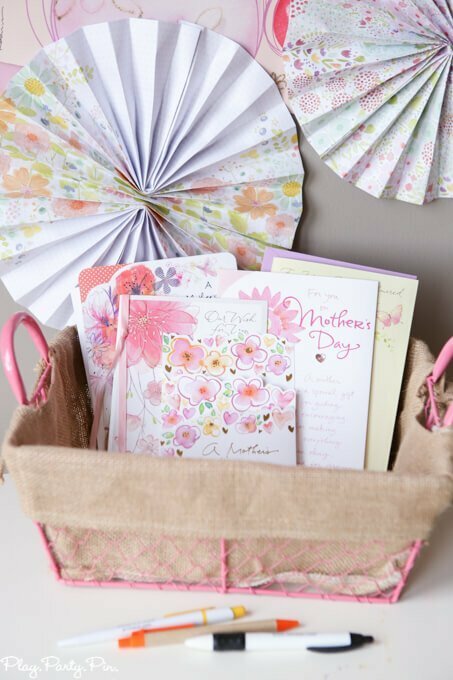 For the first, I just put together a basket full of American Greetings Mother’s Day cards that weren’t specific to someone’s mom but rather more generic, you’re awesome and I’m glad to have you in my life cards. 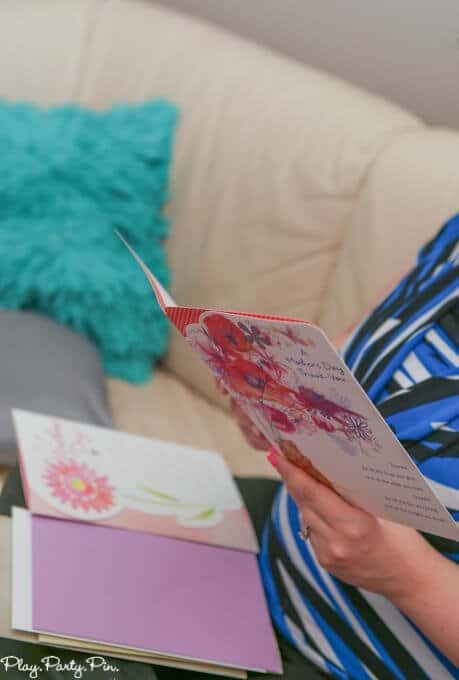 Since these women helped me so much, I encouraged them to pick a card to take home and send to a good friend who’d helped them with their transition to motherhood, like they’d helped me. 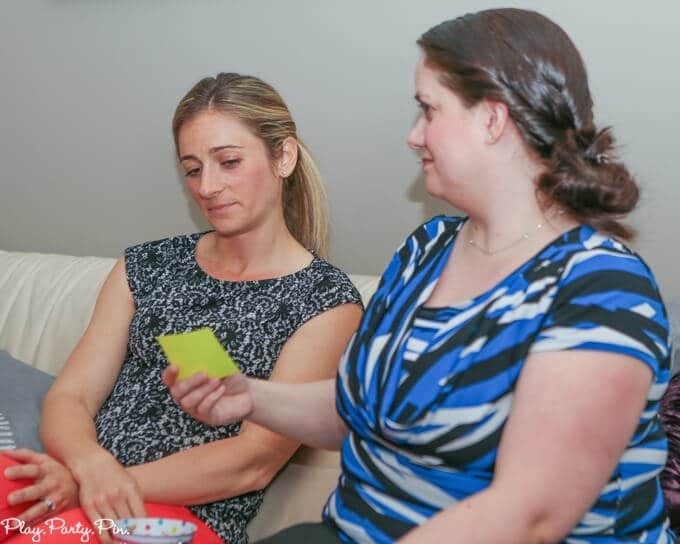 After we finished with the cards, we played one of my favorite party games that is focused on working together – Take a Hint. You can find the full rules for the game in my awesome party games for adults post but the basic idea is that a team of three people has to work together to get another person to guess a word. They do this by taking turns saying one word at a time to either build a phrase, describe the word, or whatever else they need to do to get the person to guess the word. So for instance, one of the words a team had was May (like the month). The team built the phrase month after April to get the person to guess May. It’s seriously one of the funniest games to play and watch because the teams really have to work together to build that perfect phrase and that’s tough to do when you have no idea what “phrase” your teammates have in their head. Enter your first name and email address in the form below to get the printable. If the form isn’t showing up below, click here to get to the form to download the printable files. 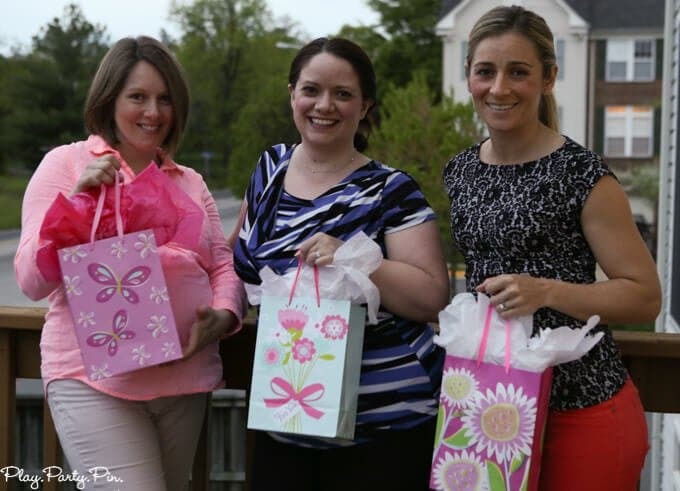 In addition to the party, I wanted to do something else nice for these moms. 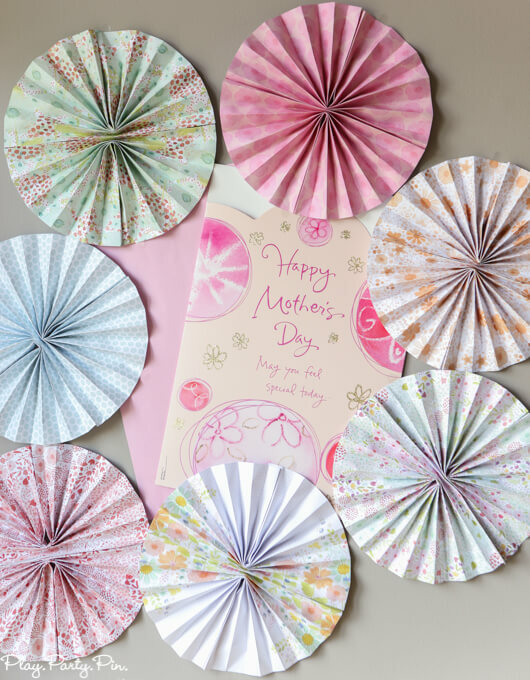 I picked up a handful of my favorite things, gift cards to my favorite stores, gorgeous American Greetings gift bags and tissue paper, and the prettiest watercolor journals to put together thank you gifts. 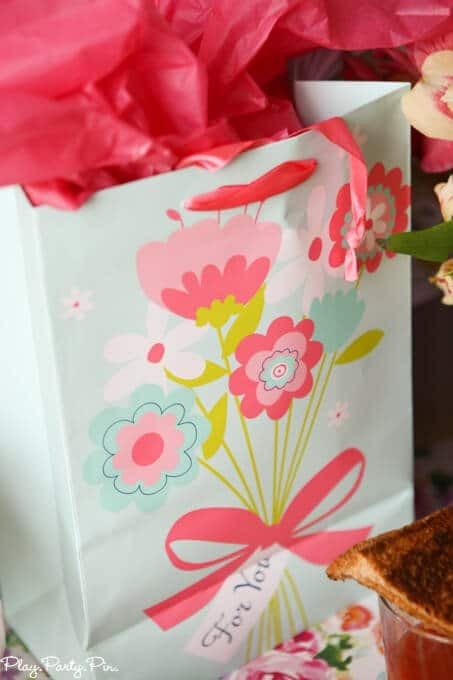 Each of the gift bags was a little different, just like each of my mom friends are a little different and help me in a different way, and it was so fun to see my friends open up their bags to see what was inside. After they’ve helped me so much, it was really nice to finally be able to give them a little something in return. The party went awesome, and I laughed harder than I have in a really long time. I loved being able to give these special moms in my life a fun night out to thank them for being so awesome. I highly encourage you do the same. While you may not have had quite the struggle I did with motherhood, I’m sure there is someone you can thank for their help this Mother’s Day. 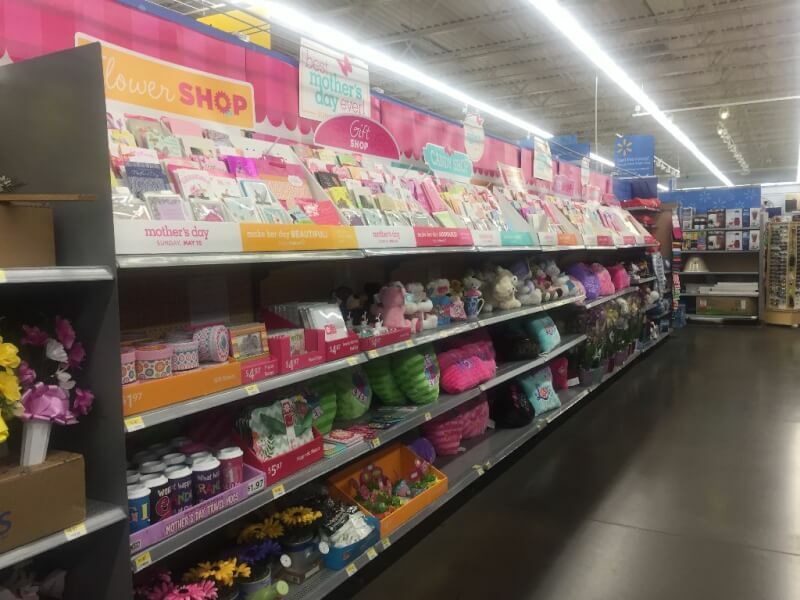 Head to Walmart and look for the American Greetings Best Mother’s Day Ever display for everything you need to say thanks to those amazing moms in your life. 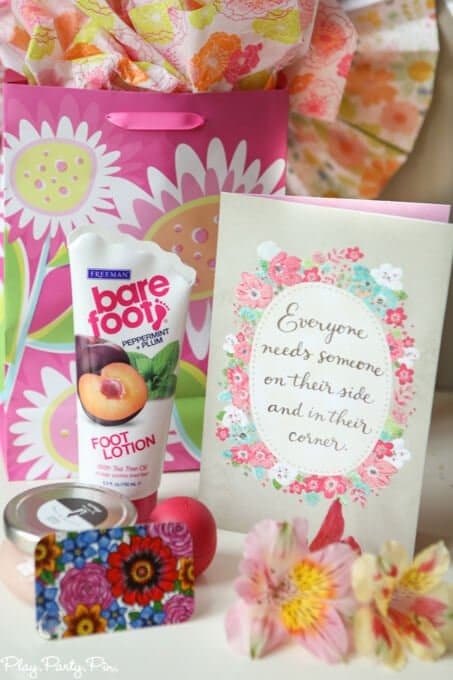 The displays give you one-stop shopping for everything you need for the perfect Mother’s Day gifts – cards, gift wrap, gift bags, and even all sorts of different gifts that can help make your favorite moms feel special. I love the message of this post! 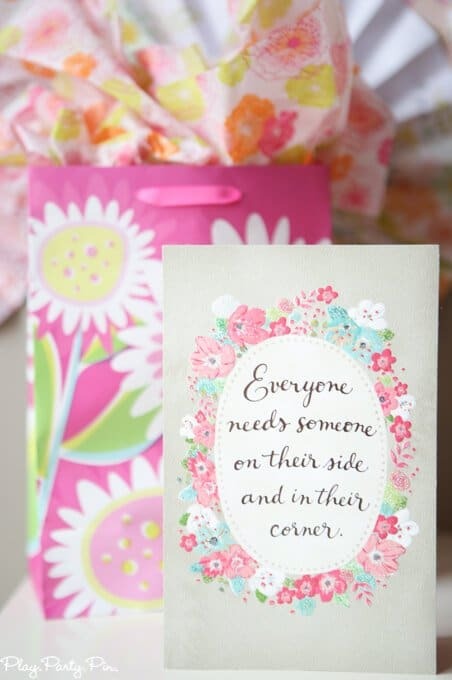 And I love that card about needing someone on your side and in your corner. I am so glad that you have found people where you live who have helped you through those dark times. Depression is horrible, and I am so sorry you’ve been going through it. 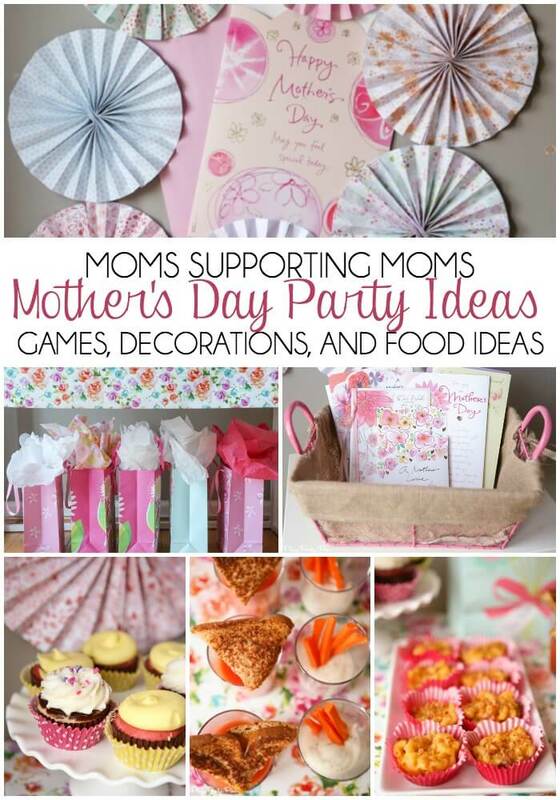 But this party is a great idea and I love that you are celebrating those moms around you! Thanks Chelsea, isn’t that card the best?